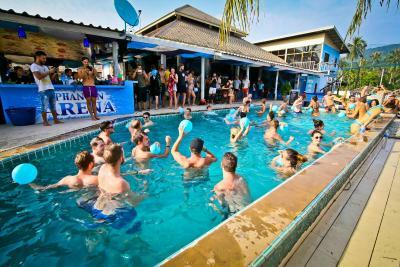 Lock in a great price for Phangan Arena Hostel – rated 8.1 by recent guests! The location and facilities are great. 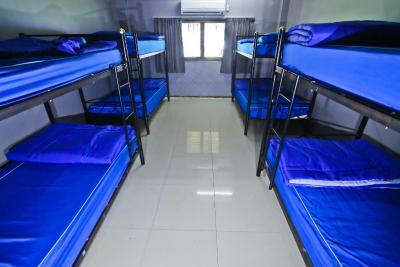 The greatest thing is a warm atmosphere inside the hostel. Thank you Rozie and Sara for all your advices and care. Walking distance from the beach, reception, laundry service, the food and shakes were decant. Nice common area. Soccer field you can run on a kick a ball a bit. 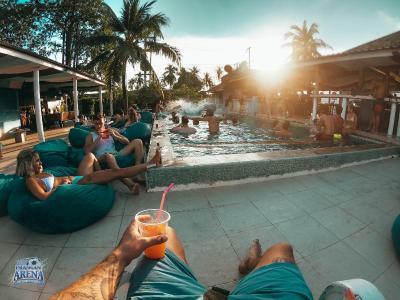 This place has so much to offer, that you simply don't wanna leave: swimming pool, beer and ping pong, pool, 24/7 restaurant, good music, motorbikes for rent, nice stuff and so much more. I had so much fun in here with the people I met, that decided to stay longer. 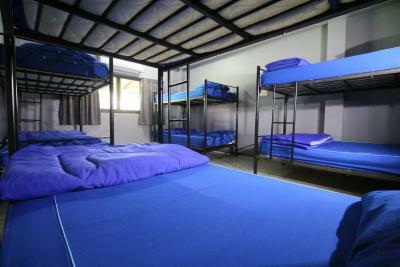 Plus, I was very surprised with the size and cleanliness of the dorm, u have so much space, lockers, a/c and hot shower. What else do you need, right? I'll definitely come back one day! Really clean hostel. Prices are alright for beers. Nice swimming pool. Hot shower. The staff at the reception are really friendly. 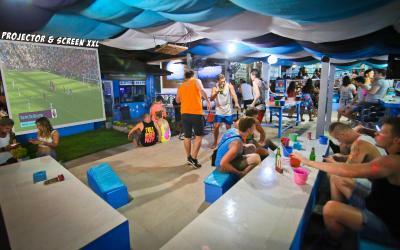 The hostel has everything to spend here a good time etheir by day or night! The staff is awesome, all the venue is clean and you can find a lot of places to chill, really good vibe, it feels like home) The room was specious and the bed was comfy enough to have a good sleep. Btw, the bar is open 24h so you can order your drinks and food anytime (really liked Regina Pizza and fried rice). Thanks guys for an amazing time here! Good location.good vibe. Friendly staff. 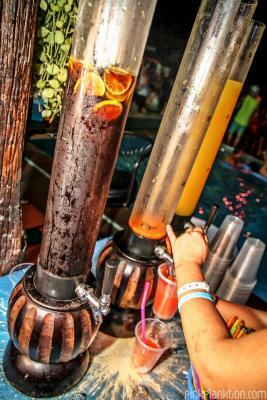 A outdoor Swimming pool.24 hours food and drinks. Amazing place for party and chill scenes. Nice clean place with amazing staff. You wont have any problem in regards to Thai language. The staff speaks english and the whole place is so diverse. 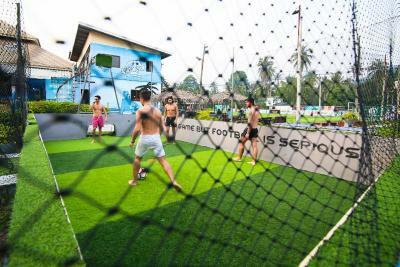 Phangan Arena Hostel This rating is a reflection of how the property compares to the industry standard when it comes to price, facilities and services available. It's based on a self-evaluation by the property. Use this rating to help choose your stay! One of our best sellers in Ban Tai! 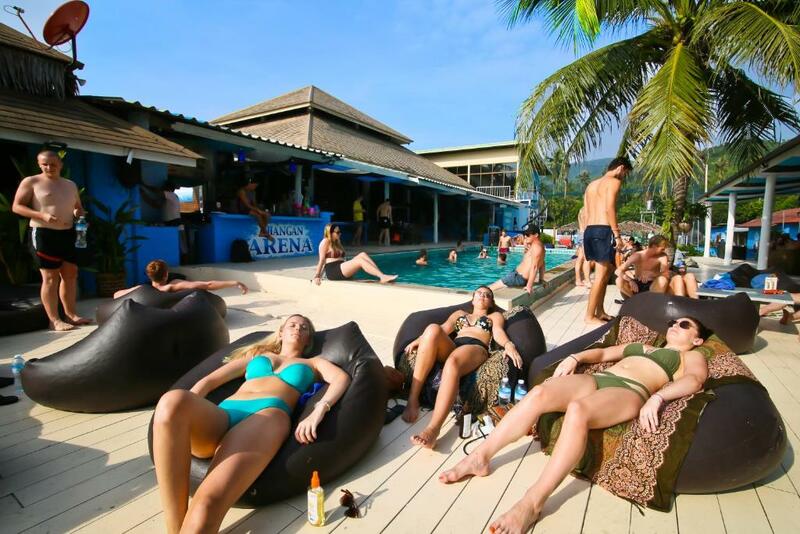 Located in Bantai area, Phangan Arena Hostel is a 5-minute walk from Bantai Beach. 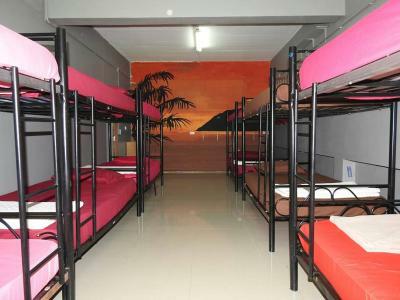 It offers dormitory and private rooms with free WiFi. Massage treatments and shuttle services can be arranged upon request. Guests can book sightseeing trip at the on-site tour desk. 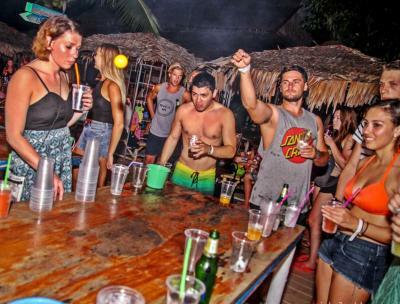 The hostel is a 10-minute drive to Thongsala Pier and a 20-minute drive to Haad Rin. 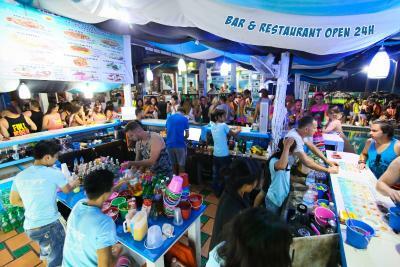 It is a 1.5-hr away from Samui Airport by boat and car. Tasty local and western cuisines are served at the restaurant. The restaurant and bar is open 24 hours every day. 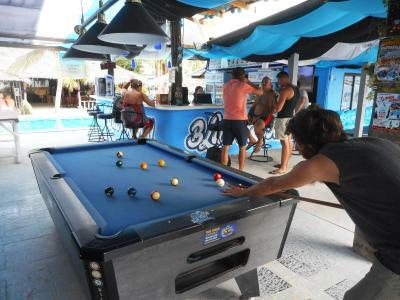 Each night also features different activities at the bar. 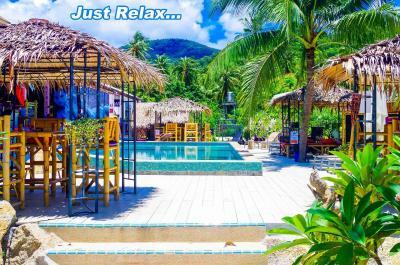 When would you like to stay at Phangan Arena Hostel? 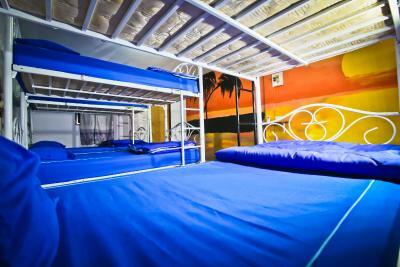 This air-conditioned bungalow can provide either four bunk beds or two bunk bed and a double bed. A shared bathroom and shower facilities are offered. 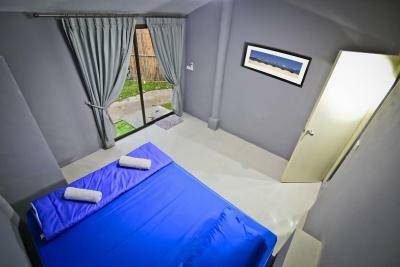 This air-conditioned room features a shared bathroom and shower facilities. This private room features a fan, a shared bathroom and shower facilities. Extras include towels. This private room features air conditioning, a shared bathroom and shower facilities. Extras include towels. 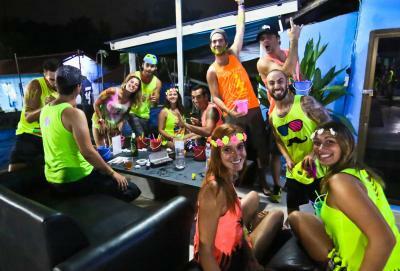 House Rules Phangan Arena Hostel takes special requests – add in the next step! Guests are required to present a photo identification card/passport upon check-in. Please note that all Special Requests are subject to availability and additional charges may apply. 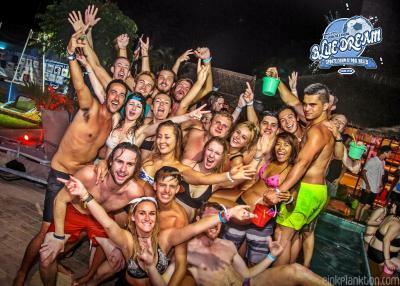 Please note that the property requires a prepayment deposit via PayPal during big events on the island including the Full Moon Parties and public holidays. Guests will receive a direct email from the property with further details. The remaining balance will be paid directly at the property upon arrival. Toilet and shower aren’t clean. Some of the staff is very unfriendly and doesn’t even look you in the eyes when you talk to them. Furthermore no person charging point or light in the rooms. The room without air con is way too hot. I would definitely recommend taking an aircon room instead. Staff are super friendly and honest. They even returned my wallet I lost a few days before with all my money still in it. There’s everything you need here! the pool, football yard, pool table, 24/7 kitchen or drinks that you can order whenever you want to, and they provide us everything we need ( ferry tickets, taxi to go to party or anywhere) the parties they provide are soooo fun they have games and stuffs you can play with friends, staffs are sooo nice especially rosieeeee I love her so much however the place and rooms are incredibly clean! The music at night is always the same and is pop culture trap music. Not really my scene. Very nice ensuite aircon dorm room. Nice pool and soccer field. Yummy food at 24 hr restaurant inside hostel. Very social place. Everything, great people and very warm and welcoming staff / volunteers. Rosie was particularly good at organising people, with great recommendations. I would definitely stay again and recommend anyone coming to Thailand to visit. 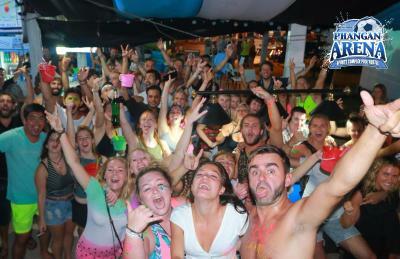 I had a phenomenal time at Phangan Arena Hostel! The staff went above and beyond to make me feel welcome and safe- especially Rozie and Sara! They were an asset to the team and I even stayed an extra few days because of them! Would highly recommend. 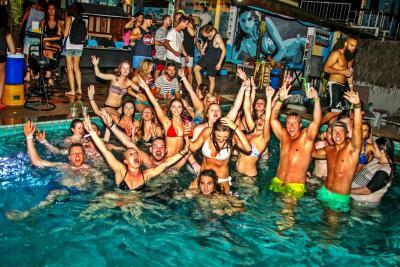 I get that it is a party hostel, but blasting garbage music from 10 o'clock is not party like. It felt like being tortured. The gym area is also totally unusable. The table tennis table was crooked and pool table was missing a ball. Food was a bit expensive and not a huge choice but what they did offer tasted amazing. 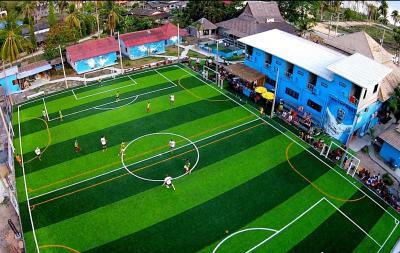 Phangan Arena offered so many facilities (more than others close by) like the sports pitch, pool, games consoles which meant it was so easy to meet people! 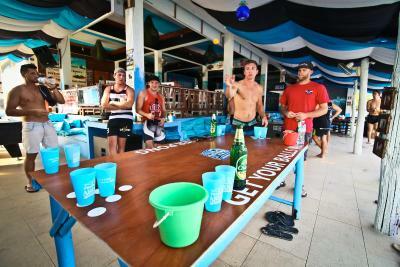 They held beer pong contests in the night and always had music playing to get people going. 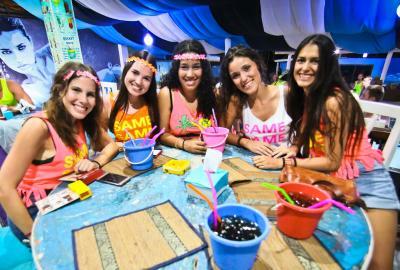 Was so easy to socialise with so many hang out areas. 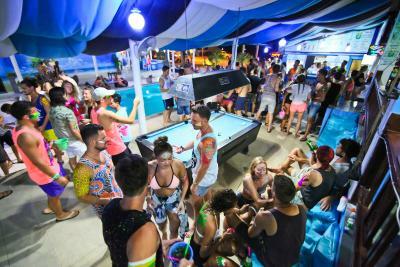 Staff are great, the location is perfect with a beach a five minute walk. I’d definitely go back!! We got to the property and had been told we were asked to pay when we booked, that they had sent 2 emails however they were unable to show us these 2 emails? With other properties which expect payment before hand , booking.com have always taken the money out. On booking.com said pay at the property. So we then asked to use their WiFi and they said we were better off walking up and down the street ... we then asked if they could call us a taxi which they also responded to get one off the street. I understand that things to get mixed up however there was no apology for this mix up all the blame was put on us when they couldn’t even prove these emails existed, only was shown the confirmation email which I also had. There were some cockroaches and the toilet didn't work one day but we could always tell our complaints to the staff and they cared about it.